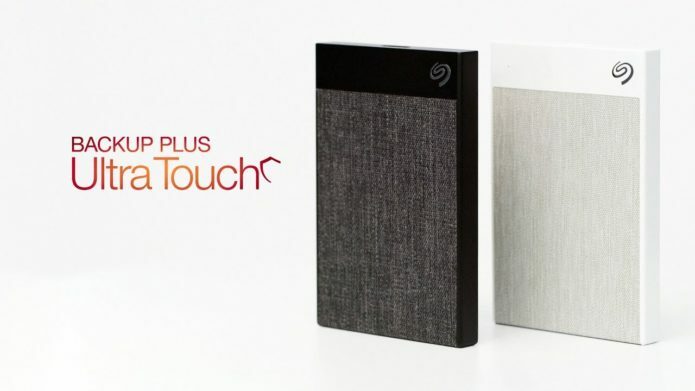 Seagate Backup Plus Ultra Touch review: It’s a hard drive! It’s a carpet sample! Easy on the eye, this 2.5-inch USB 3.1 hard drive is also a good performer. Though my review title makes fun of the basket-weave polyester fabric covering a goodly proportion of Seagate Backup Plus Ultra Touch’s upper surface, in truth (and in my opinion) it’s a very attractive drive. Perhaps more so than a lot of competitors. Alas, while you might think that the textured material would provide more grip, it seemed that there’s actually a bit less. Go figure. Regardless, it’s an attractive, svelte drive, and a very good performer that you should consider even if your tastes run contrary to mine.